Unfortunately, the current in-network insurance business model does not allow for the type of high-quality, individualized care that Purposed Physical Therapy is committed to giving. Because Purposed Physical Therapy chooses to only have a contract with the patient, and not the insurance company, we have the opportunity to work with you one-on-one for your entire visit. In most in-network, traditional physical therapy settings a patient is seen one-on-one by a physical therapist for roughly 10-15 minutes or less due to having their time shared with another patient. At Purposed Physical Therapy, we are not restricted by treatment visits, therapy caps, and prior authorizations. Since we are not obligated by insurance deadlines or rules, we are not consumed with administrative duties that distract from quality care during your visit. So because of this high-quality, doctorate level, one-on-one personal treatment, our patients get better faster! The value you are getting from our expert treatment on your health is invaluable. If you think of how much it costs for an hour massage, acupuncture, doctor's visit, or how much you may pay in prescriptions or future surgery, then you are paying very little for something very effective for your current and future health! *This price is the total out-of-pocket cost if you got absolutely no OON reimbursement from your insurance. *​*This price is based on an average low co-pay and does not include the cost of meeting your insurance's deductible first! If you haven't met your in-network deductible then you can pay up between $100-$140 per visit until your deductible has been met with other PT clinics. Sometimes your deductible is so high that you will never meet your deductible. 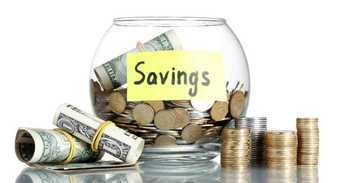 ​Look at the time and money you are saving! And that doesn't even include the extra drive time/gas you'll have to spend going to those additional visits! Let's say you spend 30 minutes driving to spend 15 minutes with the PT (maybe), only to be handed a list of exercises to perform unsupervised for the remaining 45 minutes, then drive back for an additional 30 minutes. That’s 2 hours of your time spent on 15 minutes of treatment with the therapist. Consider the value of that hour spent driving, and the things you could be doing instead of spending time in your car. Furthermore, we are a flat rate! So no visit prices don't change based on if you have/haven't met your deductable, evaluation/re-evaluation, the services we provide during your visit (dry needling, stretching, scrapping, cupping, taping), or the duration of your daily-visit. That's a huge money savings right there! Undertand, if you haven't met your in-network deductable and you go to an in-network PT, it can cost up $100-$140+ a visit before you even get to start using your co-pay! You are pretty much paying out-of-pocket with some in-network insurances, but paying 2-3x more while getting 25% of the quality you would get with us! Plus, your visit costs with us can go towards any deductable you may have! So it's a win-win for you! Now what if you finally met your in-network deductable, but then your in-network copay is greater than the example I used of $40? You are going to be paying $4 per minute with a PT one-on-one for in-network services, that's outrageously expensive! However you want to look at it, going somewhere out-of-network like Purposed Physical Therapy is ALWAYS cheaper, more effective, and a better quality of service than anything else! Don't be confused: going out-of-network means that the patient pays for the service on the front-end, but then they can submit the bill to their insurance company to go towards their deductible or for reimbursement on the back-end. Therefore, reimbursement CAN OCCUR, and you could get a good portion of your money back with each visit seeing us! Going further, what if you only got 50% of your out-of-network visit reimbursed? You are still going to be a paying as low as $1.17 per minute with a PT one-on-one for out-of-network services with us! In fact, even if you got no reimbursement from seeing us, we are still largely cheaper than going in-network! However, most of our patients are getting 60-80% of their visit payments reimbursed from insurance! So after you get your reimbursement, you ended up only paying ~$30 per visit with us in the end! You cannot beat that price!!! Once you crunch the numbers and understand your insurance's out-of-network benefits, you will find that you are not only getting better quality per visit, but you are actually saving TONS of time and A WHOLE LOT of money by coming to Purposed Physical Therapy! ​As physical therapists, we take clients with low back pain, broken bones, sprained joints, strain muscles, and surgical repairs and return these individuals back to their previous lives -- or even return them in better shape than they were prior to their injury. At Purposed Physical Therapy, our primary goal is to, and will always remain, to value your time by getting you better quickly and in the most cost-efficient way possible. If you have questions about your pain/injury/limitation, or are interested in injury prevention, then please email us by clicking HERE, or call us at (864) 881-1712. We would love to take some time to help you. If you need a physical therapist to evaluate, treat, or prevent your pain/injury/limitation, then click HERE to schedule an appointment today.